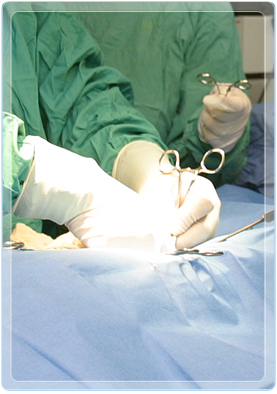 Routine surgeries are performed in our state-of-the-art surgical suite. Dr. Evans offers the highest level of patient care and monitoring and provides pre-surgical bloodwork and intravenous fluids before every surgical procedure. Each patient gets one-on-one special attention before, during, and after their surgical operation. At Home Mobile’s caring staff is committed to only your pet during the entire surgery. We will discuss your individual pet’s needs before each procedure and we routinely offer ovariohysterectomy (spay), orchiectomy (neuter), laceration repair, lump removals and biopsies, abscess drainage, and aural hematoma repair.